To Those Who Did Not Grow Up With Rotary Phones…..
Way back in the 1950s, telephones were not as ubiquitous as they are today. 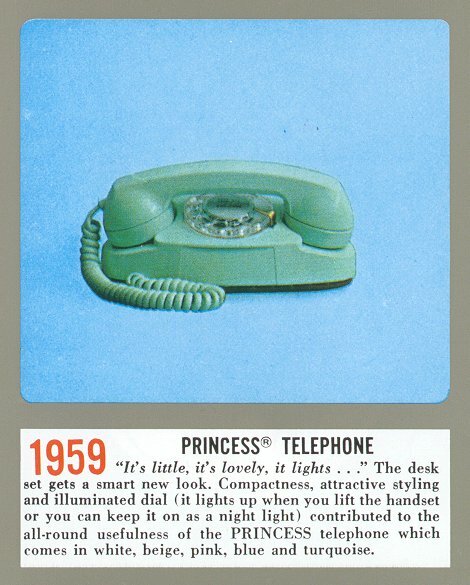 As a child of the ’50s, telephones were kind of awe-inspiring, and rather serious. Hardly anyone I knew just called to chit-chat; telephones were used to communicate important information or to call a doctor, etc. Our telephones back then were heavy, black and had a rotary dial. The rotary phone had a relatively short cord, which meant that everyone in the area could hear you. Later on, longer cords became available, allowing lovesick teens to drag the phone into a closet or pantry and shut the door. When you dialed the number, forefinger in the correct hole, the dial made a satisfying ‘click-click-click’ as it spun back into place. The first time I was allowed to use the phone (and yes, back then children did not use the phone without first asking permission), I called my grandmother. When the operator (yes, there were real, live operators back then who manually connected you; see photograph below) answered, saying “number, please,” I said, “692, please,” and was connected. Often when you picked up the phone, you knew the operator by her voice. It wasn’t at all unusual to recognize the familiar voice of Myrtle, Jeanette, Annie or Trudy. Many people started their conversation with ‘hiya, Trudy, how’re you?’ She’d answer back and then connect you. I remember one time sneaking into the living room to make an unapproved phone call. I got the operator named Annie, who said, “Janie, is that you? You know your daddy doesn’t want you to use the phone! Now hang up before you get into trouble.” I did. “Hello–this Jane; who is calling, please?” If the call was for my mother or father, I was to say, “Would you please hold? I’ll go get them right now. Thank you.” Anything less than this was deemed rude or worse, frivolous or time-wasting. I was also well aware that using the phone cost money. Back in those days, we never dreamed of anything as futuristic as a cell phone. If you were driving somewhere and your car broke down, you had a couple of options: you could get out of the car and hoof it to the nearest store or gas station to use a pay phone, or you could take your chances and hitchhike to the nearest place with a pay phone. No one thought a thing about it; that was just the way things were back then. I don’t think it ever occurred to any of us that we needed a portable telephone with us at all times. Life went at a slower, more comfortable pace back then. It was actually an oddity to see someone impatient about much of anything. Traffic was a lot lighter, probably because there were far less cars on the road. There were fewer driving accidents, too. The cars driven at that time required the driver to shift gears, manage the headlights, turn signals, and also muscle the car themselves–no power steering in those days. You had to actually pay attention while driving. I never heard anything about “road rage,” either. The pace of life was slower, and there was time to do whatever you needed to do. It seemed that no one was ever in a great hurry. You knew how long it took you to drive to work, so you planned your time accordingly. People drove with caution, and kept a car-length or two behind the car in front of them. There was no need whatsoever to ride someone’s back bumper, either. The ‘impatience factor’ just wasn’t an issue back then. But back to telephones. Even seeing an old 1950s rotary phone brings me back to my childhood. Those days are far behind us now, and I wonder if all our new technology is doing us more harm than good……..plus I miss that friendly old click-click-click of the rotary dial!